Last year, one of my favorite sessions of the conference was Teachers Unplugged. As with most traditional conferences, sessions tend to be a speaker or panel at the front of the room, with rows of attendees sitting passively. Ironically, this is what we are trying to move away from in our classrooms and yet the largest conference of the year for independent school educators seems to be mostly in this format. This is why I was happy to see that there was a session option in an unconference format: Teachers Unplugged. This session exceeded all my expectations while providing me with amazing connections and thought-provoking discussions. Read my reflections from last year here. I remember wishing there were more of these types of sessions, and I especially wished there was one specifically for Administrators. 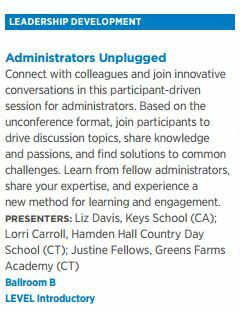 So, I reached out to Liz Davis, who ran the Teachers Unplugged session, along with a fellow CT colleague, Justine Fellows, to pitch just that! We are extremely excited to facilitate some innovative conversations in a participant-driven, relevant, interactive, and engaging session. 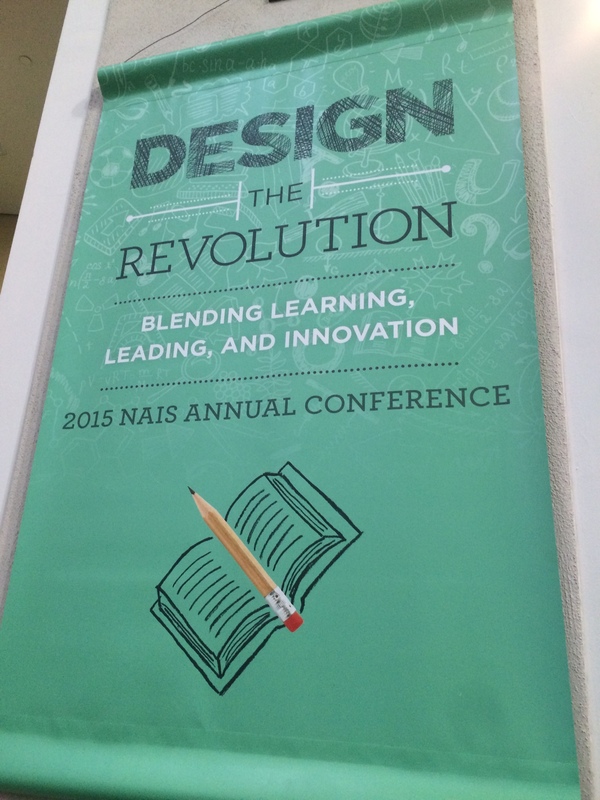 Design the Revolution: Blending Learning, Leading and Innovation. 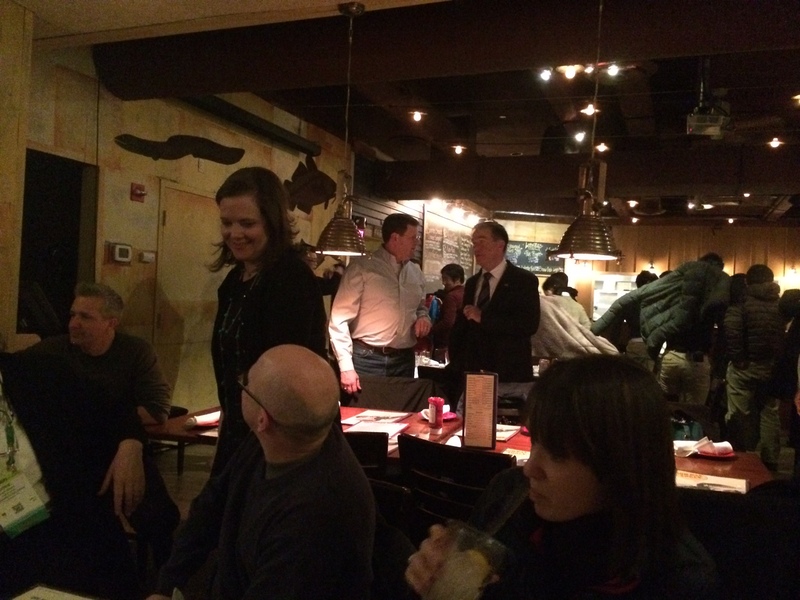 Before you get here, my biggest tip… DOWNLOAD the APP…Do it TODAY! Right now! I remember feeling overwhelmed with the program book a few years back. I had a hard time figuring out my schedule, reading through descriptions and speaker info, and getting up to date information on any changes. I had to dig it out of my bag each time. Ugh! Well… no more! The app organizes presentations by time slot, allows you to organize your schedule, track exhibitors, get info about presenters and sessions, follow conference tweets, and much more! It continues to refresh and update as presenters add speaker notes and or any info changes about a session. It’s all organized for you in an awesome calendar view… AND it fits in the palm of your hand! You are not going to get that from the printed book! I have been reading through the descriptions trying to plan my days and I realize that, as usual, I have a huge problem. I want to be in three places at once during several time slots. Not a bad problem to have. SO… an exciting week lies ahead. I am ready for the learning, connecting, and sharing… and brain overload. Bring it on!